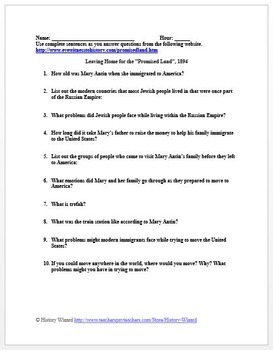 This worksheet allows students to use a primary source document to learn about Jewish immigration to America in the 1890s. The primary source document is labeled (Leaving Home for the "Promised Land", 1894). 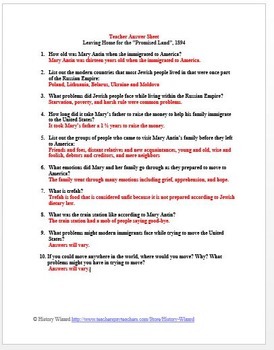 This lesson plan is included in the Industrialization and Immigration Lesson Plan Collection. 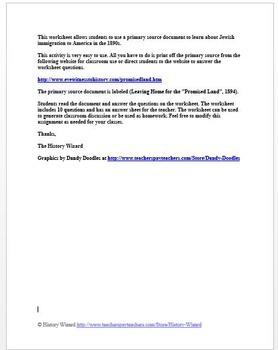 Please check out some of my other Industrial Revolution and Immigration lesson plans.